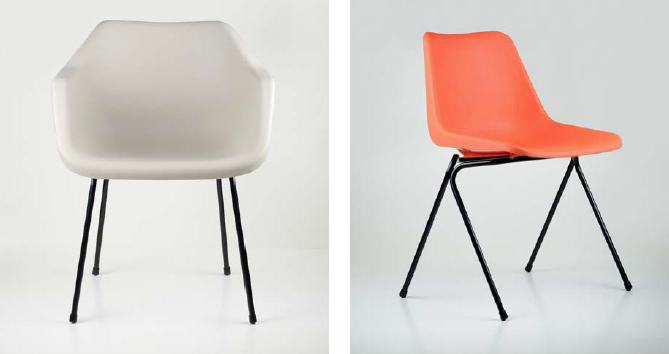 Robin Day’s 1960s classic Polypropylene side chair and armchair are being brought back to John Lewis’ flagship store. The chairs will be relaunched at the Oxford Street, London store to celebrate the designer’s centenary. 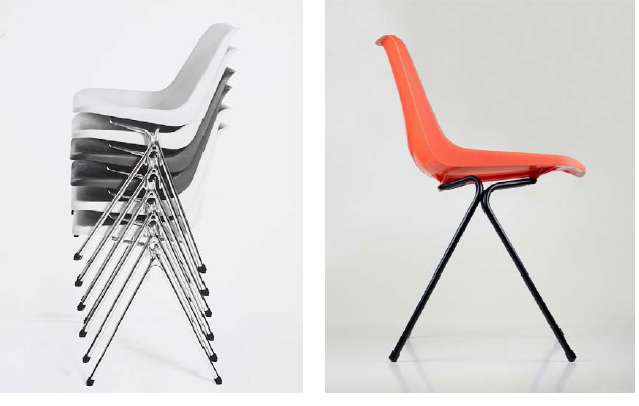 Day invented the chair in 1963, using what was a new plastic at the time to create the first mass-produced Polypropylene chair, with furniture company Hille. The relaunch of the chairs are a collaboration between the Robin and Lucienne Day Foundation and Hille Educational Products. They will be available in light grey, charcoal and orange. Included in the design is Day’s original P5 stacking frame, with a weld on each side where the front and back legs meet. The frame had previously been dropped from the design in the 1980s. The Polypropylene side chair is available to buy at £49, and the armchair at £59. Following the launch, Robin Day’s Polypropylene side chair, armchair and 675 chair will be include in John Lewis’ Design Icons collection.